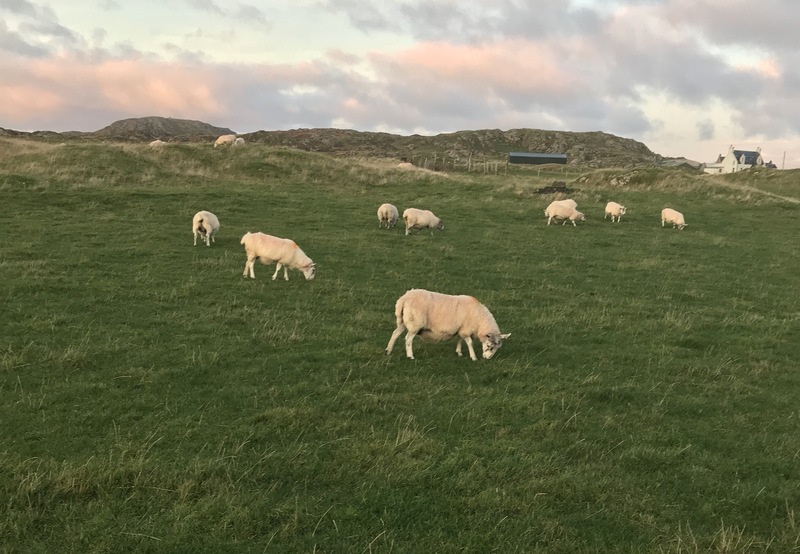 While walking on the island of Iona I came across sheep peacefully gracing in a field. They seemed oblivious to everything around them, including me! As I stopped to study them I was a bit envious. Their peacefulness seem to lie in knowing who they were and in whom they belonged. The 23rd Psalm or “The Shepherd’s Psalm”, is arguably the most familiar of all of the 150 Psalms; “The Lord is my Shepherd ….” The Psalmist knew that he belonged to Another and not to himself. He belonged to the Creater of the heavens and the earth, to the One Who created us—each one of us—in the Divine image. Too often we forget who we are and more importantly Whose we are. We forget that we do not belong to ourselves but that we have been “redeemed” by Another. Our lives take on a deeper sense of purpose and meaning when we understand as the apostle Paul wrote in his letter to the Romans, “If we live , we live into the Lord, and if we die we die unto the Lord; so then whether we live or whether die, we belong to the Lord. (Romans 14:7). Remembering Who we belong to is a glimpse of grace. Lord, help me remember that in both life and death I belong to You. May all that I do, say or think be to Your glory. Amen.